Ask the Stanislaus County Police to free the baby cows who are cruelly confined in crates barely bigger than their bodies. Picture a farm. You’re likely seeing rolling hills of green grass dotted with a few dozen cows. What most Americans don’t know is that the typical small family farm now breeds thousands of animals and confines them in horrendous living conditions. Drone footage of this Costco farm revealed over 20,000 hutches designed to imprison baby cows and separate them from their mothers. There are as many calves on this one farm as there are humans in the entire city. 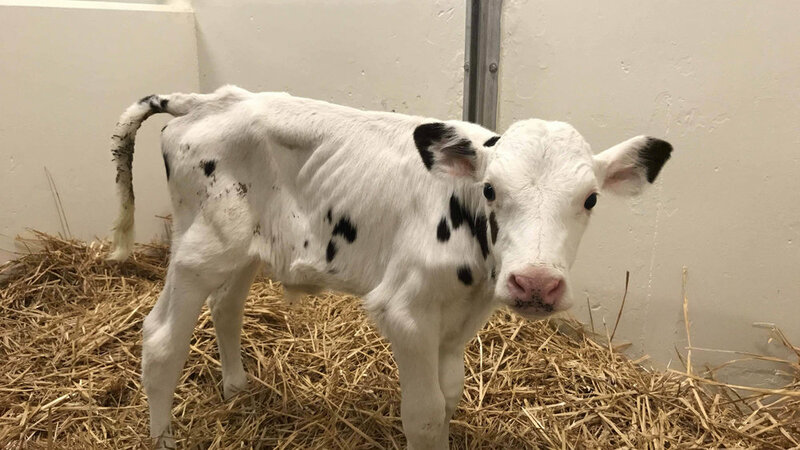 Calves were confined in hutches so small they could barely turn around. They live in these hutches their entire childhood, never let out to run or play. The farm owners live nextdoor in a $1.7 million mansion with a pool, tennis court, and boat. Profiting off of the backs of baby animals they tear away from their mothers. DxE investigators found a mass graveyard with bodies of cows piled on top of one another. This is the only place babies and mothers were seen together. Nick was emaciated as a result of being torn away from his mother at birth and deprived of essential nutrients. According to a veterinarian who examined Nick, his condition would have killed him if he had remained on the farm. DxE investigators lifted Nick out of his wooden cage and carried him all the way to safety. When Nick was rescued, he was so malnourished you could see his ribs. He had to be fed 20% of his body weight daily until he recovered. Nick was given a forever home at a sanctuary where he finally gets to run and play with friends. 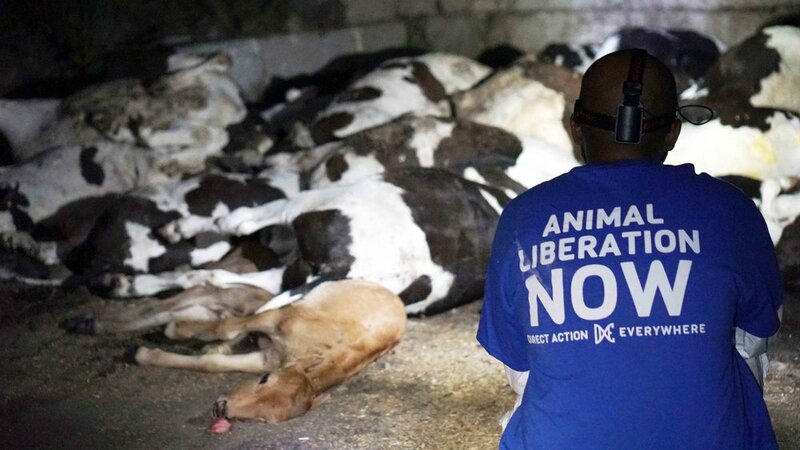 Nick’s story is exposing the hidden cruelty of the dairy industry. 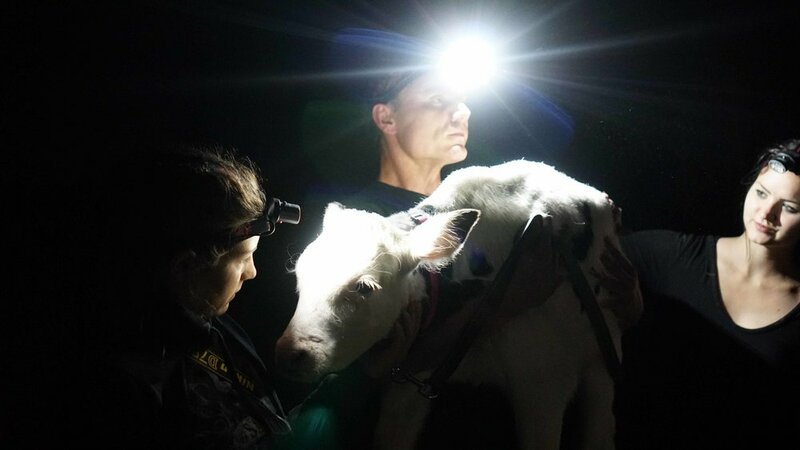 With your support, we can continue to shine a light on Big Ag’s dark secrets and show the world the powerful rescue stories of more animals just like Nick. All monthly donors will receive updates on DxE’s progress, including a monthly livestream with DxE co-founder Wayne Hsiung about DxE’s Open Rescue network and much more! A donation of $45 a month (the estimated cost to support one rescued animal) makes you a member of the Open Rescue Network, which rescues animals from the most hellish places on earth. You’ll receive quarterly updates and special opportunities to meet rescued animals. + Need to update your donation? If you are already a monthly donor and you want to change or cancel your monthly donation, please fill out this form. + Prefer to donate via mail?